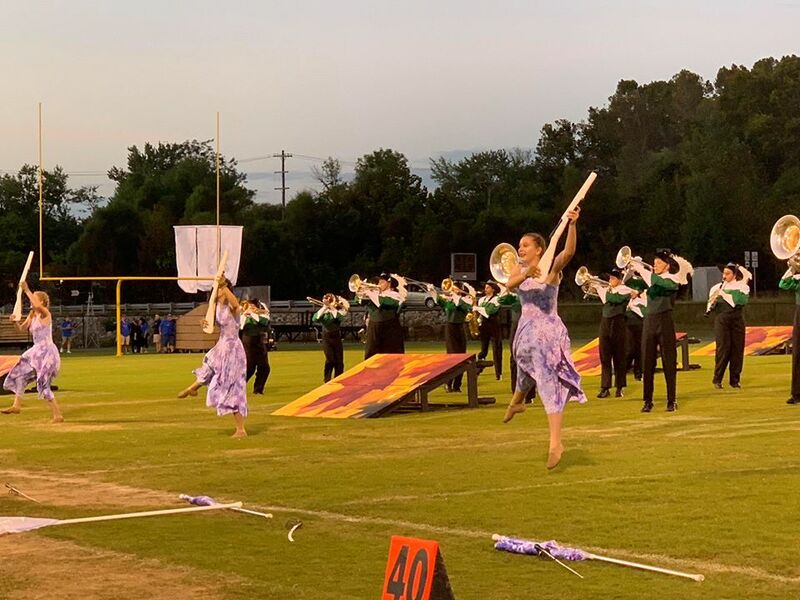 The Monroe-Gregg School District, made up by Monrovia Elementary, Monrovia Middle and Monrovia High Schools, were awarded a 2019 Best Communities for Music Education award last week. Monroe-Gregg was one of 623 school districts in the United States and one of 12 districts in Indiana to receive the award. Now in its 20th year, the Best Communities for Music Education designation is awarded to districts that demonstrate outstanding achievement in efforts to provide music access and education to all students. To qualify for the Best Communities designation, Monroe-Gregg answered detailed questions about funding, graduation requirements, music class participation, instruction time, facilities, support for the music programs. Responses were verified with school officials and reviewed by The Music Research Institute at the University of Kansas. "Music Education is a vital component of what Monroe-Gregg School District offers our students," said Monroe-Gregg Superintendent Dr. Kirk Freeman. "Not only is it a unique motivator for many students at the secondary level, but it also provides valued life skills students will utilize far beyond their school experience. Receiving this national recognition will only add to the pride and confidence students already hold toward these cherished programs." The Monrovia High School Jazz Band performed at the ISSMA Jazz Festival at Brownsburg East Middle School and provided an outstanding performance on the day. Monrovia earned their 18th straight Gold rating at the ISSMA Jazz contest. Outstanding soloist awards were also earned by Sam Cox, Dominic Vogel, and Andrew Willett. The Monrovia Jazz Band will have four performances remaining this school year. You can see them at the Shamrock Game on March 13th at 7:00 pm. at the Branch McCracken Memorial Gymnasium in the high school. Saturday, March 16th is the date for the Barnes & Noble Book Fair at the Plainfield Barnes & Noble. They will be the featured entertainment for the Monrovia Alumni Banquet on Saturday, April 6. The Jazz Band will also hold their annual Swing Into Spring on May 10 and 11 in the Center for the Performing Arts. Dinner will be served in the band room with entertainment and a silent auction in the auditorium. Monrovia High School was recognized as a nominee for the 2018 Sudler Shield in the "Small School Division." The Sudler Shield is endowed by Louis and Virginia Sudler and is administrated by The John Philip Sousa Foundation promoting international understanding through the medium of band music. The purpose of the award is to establish and support international standards of excellence in musical performance, marching execution, choreography and show design for high school, youth or international bands. They also work "to identify, recognize, and honor outstanding high school, youth and international marching bands that are at a world-class level of excellence." It was quite an honor to be nominated by the Sudler Shield Committee. Congratulations to the Bulldog Brigade! There is something about entering the tunnel at Lucas Oil Stadium that is almost as impressive as the large facade you unload in front of prior to a performance. That moment is dwarfed only by the entrance from the back of the field as one of the ten best in Indiana preparing to perform in front of thousands for the ISSMA Marching Band State Finals. 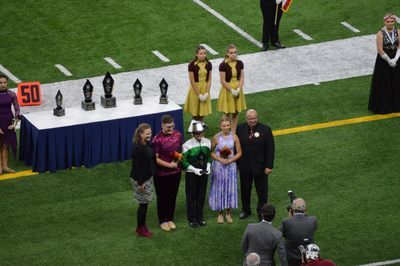 The 2018 edition of the Bulldog Brigade rose to the challenge on Saturday and earned their spot placing sixth best in Open Class D. For the eighth straight year, band members exited Lucas Oil knowing they had reached the highest honor for a marcher in Indiana. Congratulations to all performers, parents, administrators, alumni, and community members that came out to share this milestone with us! 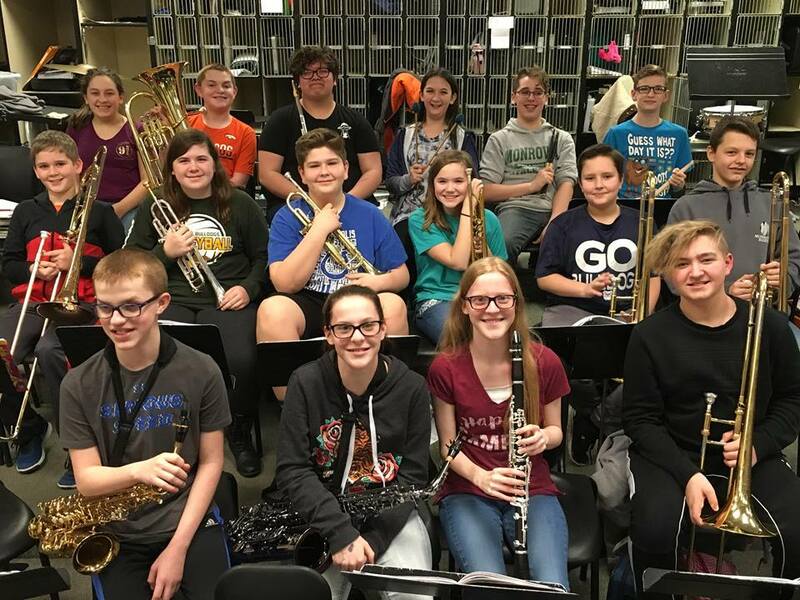 The Bulldog Brigade will make their eighth straight appearance in the ISSMA Marching Band State Finals on Saturday, November 3, 2018 at Lucas Oil Stadium. The earned this honor on the strength of a Semi-State performance that put them in the top 10 of Open Class D bands from across Indiana. Open Class D will start at 4:40 pm. on Saturday and Monrovia will take the field at 5:58 pm. as the seventh band to take the field. This is the ninth appearance for Monrovia in the past decade and 15th appearance at State Finals. 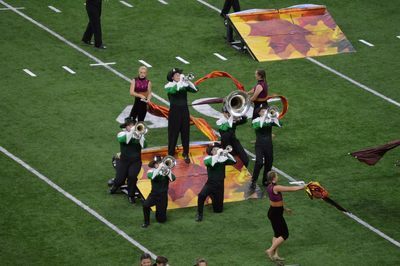 Monrovia has performed in the ISSMA Marching Band State Finals from 1991-1996, 2009, and 2011-2018. Tickets will be on sale at the high school band room beginning tomorrow at 5:30. Prices will be announced tomorrow afternoon. Amid 40 mph wind gusts on Saturday, the Whiteland Invitational went on with some of the finest groups in Class D. Monrovia finished the day with a 70.1 which was good for fourth place. 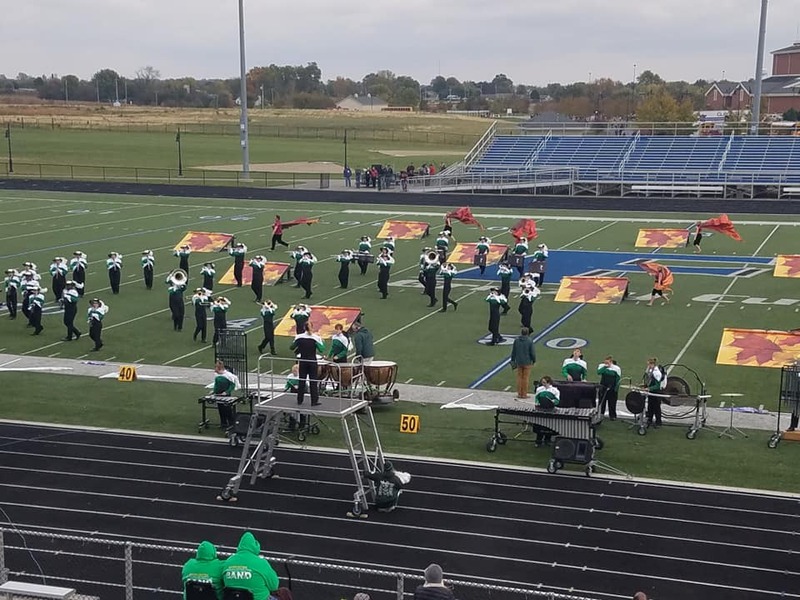 This was a great preview for the ISSMA Semi-State which will take place on Saturday, October 27, with Monrovia marching at 1:52 pm. 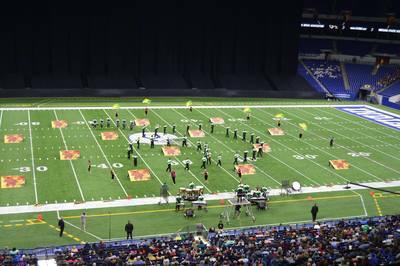 The top 10 groups from the Semi-State will advance to ISSMA State Finals at Lucas Oil Stadium on Saturday, November 3. Cheesecake orders will be available for pick up from 4:00-6:00 pm. in the high school band room on Tuesday, October 23, 2018. 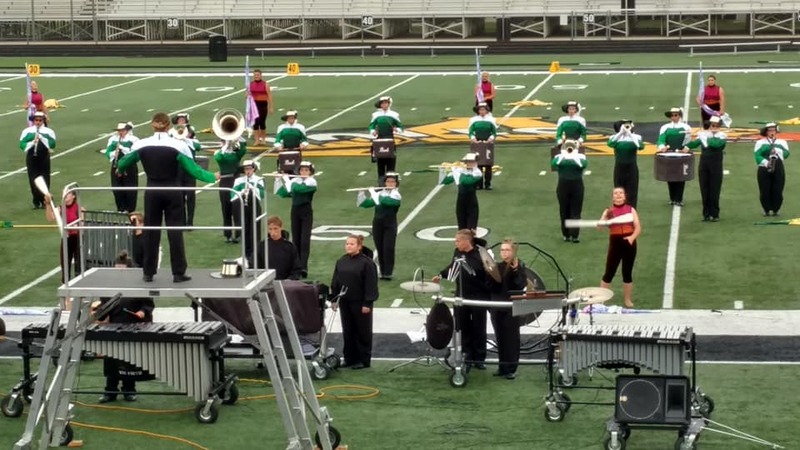 The Monrovia Bulldog Brigade competed at the ISSMA Invitational at Whiteland High School earning a Gold rating and 'With Distinction' honors in the Visual caption. Monrovia had one of their stronger performances of the season on Saturday. They will be taking their next step toward a bid at State Finals with a trip on Saturday, October 13, at the ISSMA Regional contest at Evansville Central High School. The Bulldogs perform at 2:02 pm. (Evansville time). 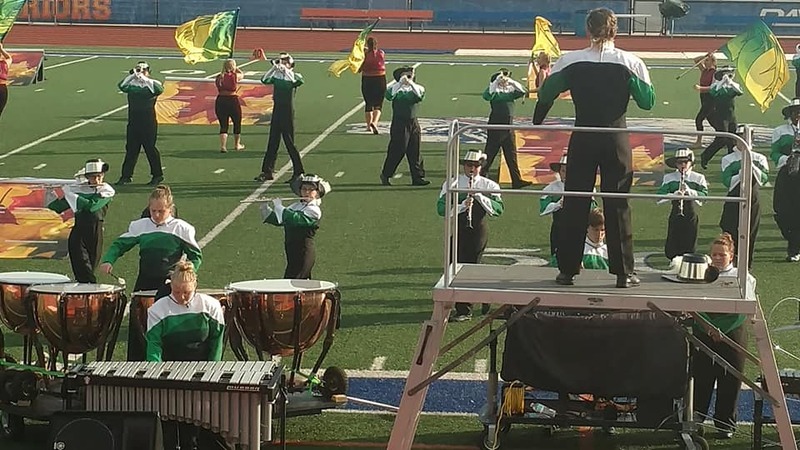 There are 13 bands in Regional competition and the top 10 from the contest will advance to the ISSMA Semi-State on October 27 at Franklin Community High School. 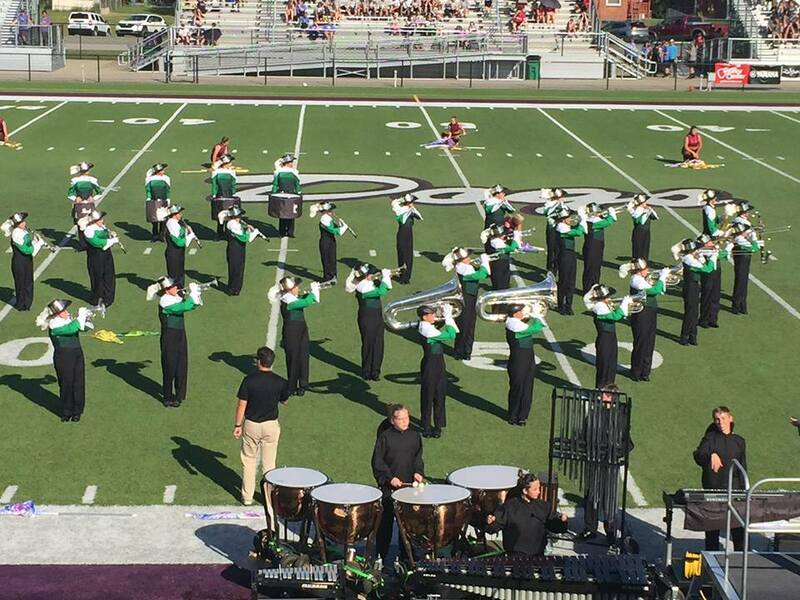 The Monrovia Bulldog Brigade traveled to Springs Valley to compete with some of southern Indiana's best Class D bands. The result of their efforts brought a season high 63.3 score which earned third place within the show. This was the debut of the new props, swing flags and a color guard costume change for the Brigade. 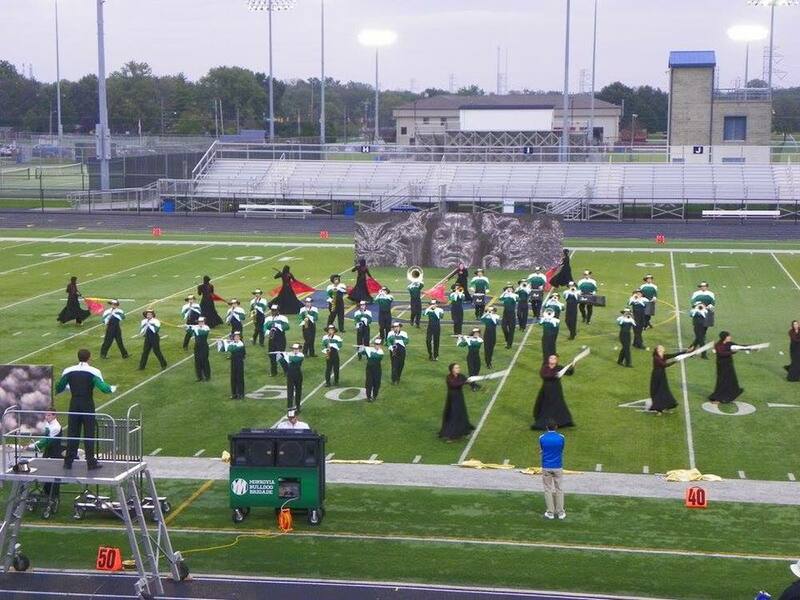 Monrovia travels to Whiteland High School this Saturday to perform at 5:30 pm. at the ISSMA Invitational. Monrovia competed in the Avon Invitational this past Saturday and finished second in the show to the two-time defending Class D champs, Springs Valley. Monrovia did manage a Best Auxiliary award for Class D as one of the bright spots of the afternoon. 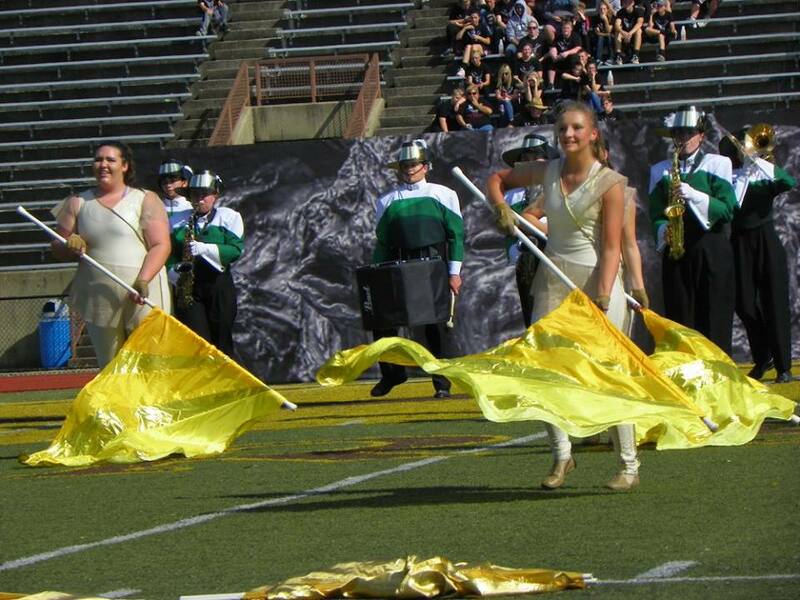 The color guard has worked very hard over the past several months and they had a great performance on Saturday. 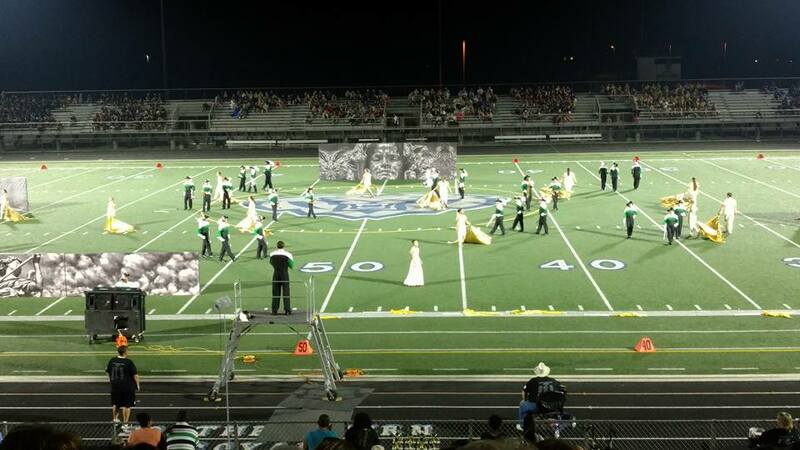 Monrovia will travel to Springs Valley on September 29 and perform at 7:35 pm. 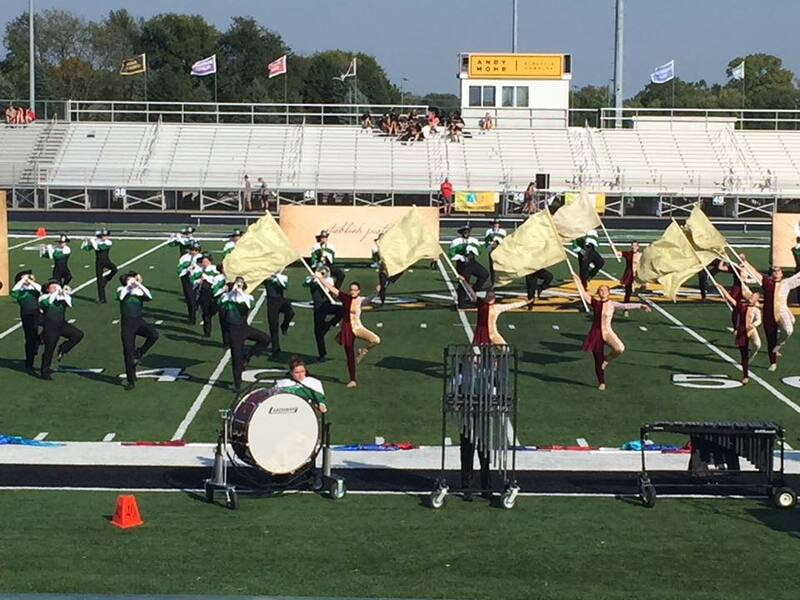 The Bulldog Brigade performed in the heat of the day at the Brownsburg Invitational to earn first place, Best Music, Best Visual, Best General Effect, and Best Auxiliary in Open Class D. It marked the first actual performance after last weekend's rain pushed the performances indoors. 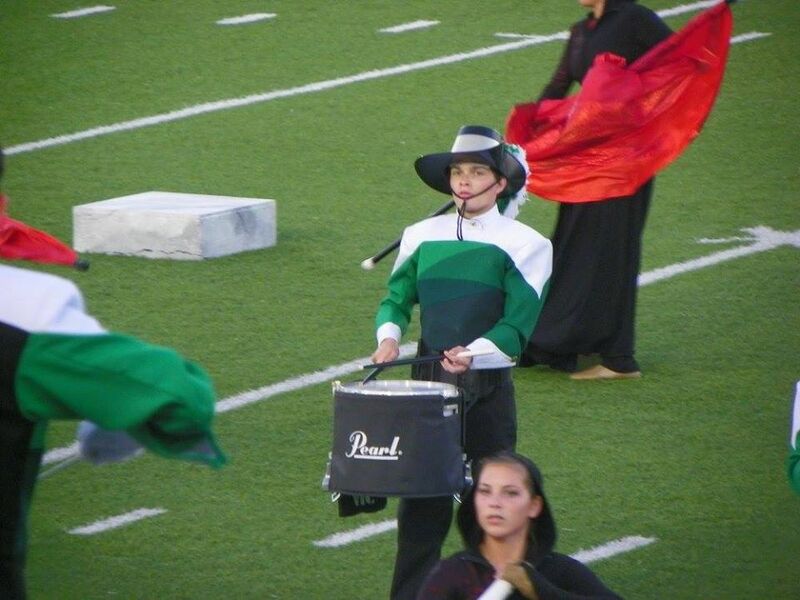 Monrovia will perform at 6:42 pm. at the Avon Invitational on September 22. The Brigade performed at the Sound of North Invitational at Columbus North to kick off the 2018 season. Despite torrential rain, the show went on indoors at the Columbus North gymnasium. 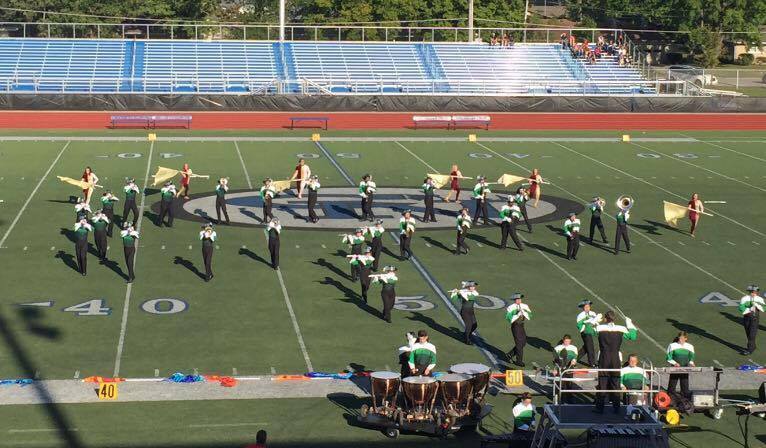 Monrovia performed the stand-still and brought home first place with Best Music, Best General Effect, Best Percussion and Best Auxiliary. They will perform next week at Brownsburg High School at 4:45 pm. 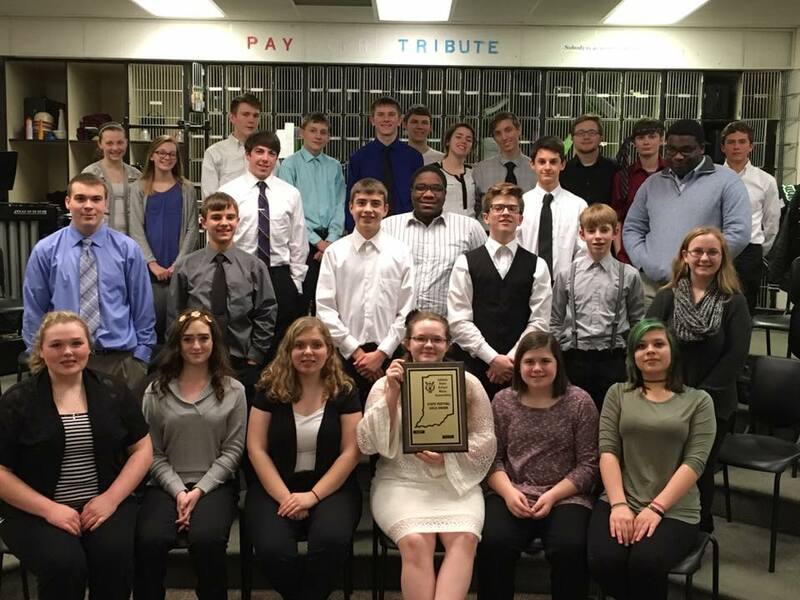 The Monrovia Concert Band performed at the ISSMA Organizational Contest earning a Gold rating "With Distinction" and a Gold rating on Sight-Reading. 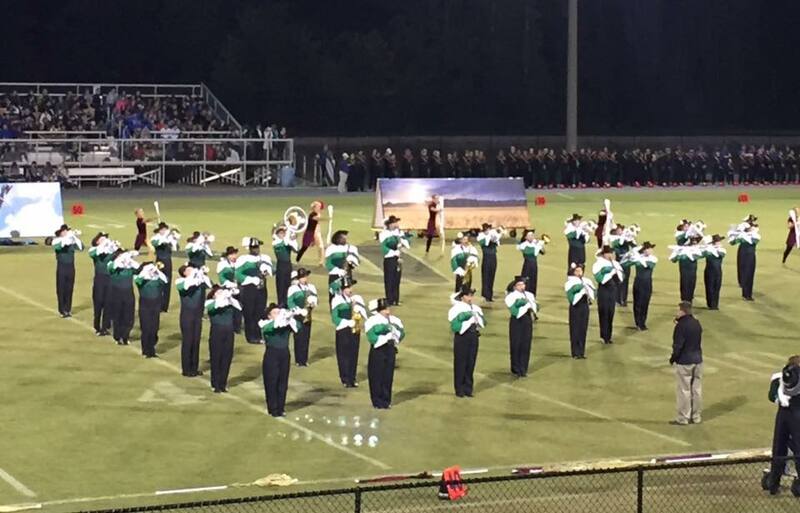 This marks the first time a Monrovia Concert Band has earned 'With Distinction' honors. The band performed 'Tenth Regiment March,' 'Perthshire Majesty,' and 'Celebration for Winds and Percussion,' en route to their Gold. 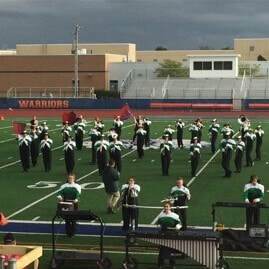 By earning their Gold rating in marching band, concert band, jazz band, and in sending at least one soloist and one ensemble to Solo and Ensemble State Finals, Monrovia earned their 12th ISSMA All-Music Award. 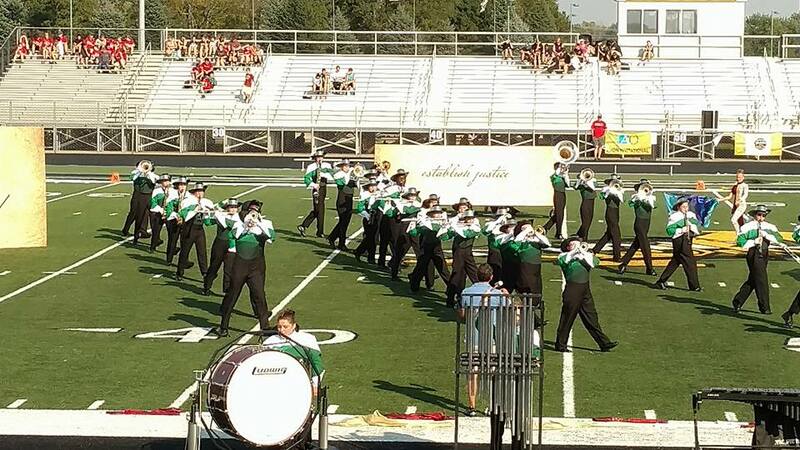 Monrovia is one of 15 schools in Indiana to have earned at least 12 All-Music Awards since the award started in 2003. 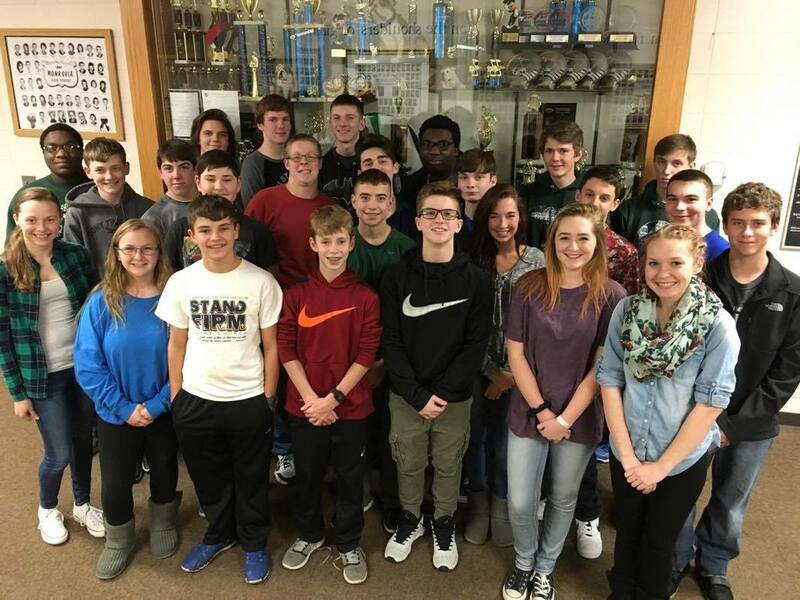 Monrovia Jazz Band members brought home a Gold rating ' With Distinction' at the 2018 ISSMA Jazz Festival for the 17th consecutive year. You have three more opportunities to hear the award-winning Jazz Band this year. 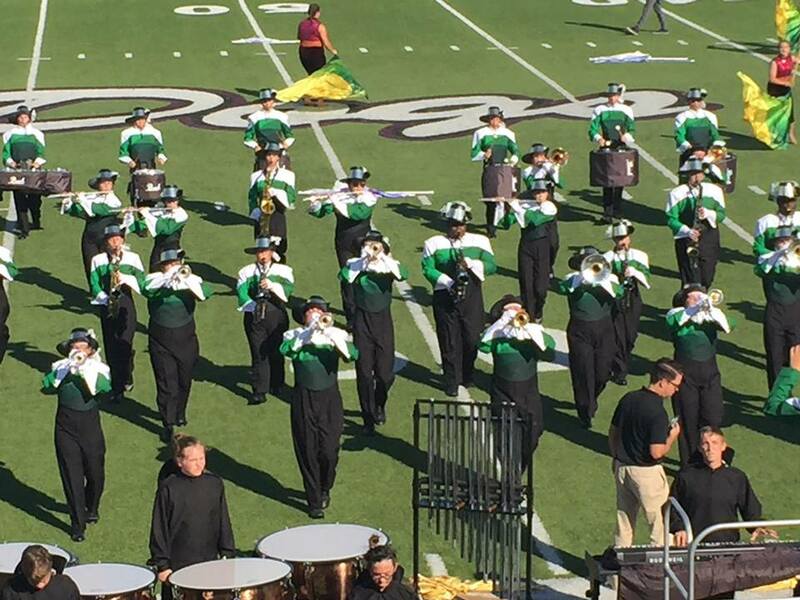 This is the first Monrovia Jazz Band to earn Distinction honors. Their final performance of the year will be the acclaimed 11th annual Swing Into Spring on May 11 and 12. Tickets will be on sale for the Swing Into Spring are currently on sale until May 9 to get a seat for a meal and the concert. Reserved seats are $25, General Admission are $20, children age 6 and under are $5. Tickets to the meal will not be available after May 9. Dinner begins at 6:00 and the concert will begin at 7:30 on both nights. After May 9, patrons may purchase tickets to the concert only for $10. Patrons entering for the concert only will be admitted beginning at 7:15 pm. on both nights. Contact Mr. Willett at 317-996-2258 ext. 2149, or at mhsbandguy@msn.com to get your tickets. Congratulations to our band members who competed at the Avon Solo and Ensemble site. 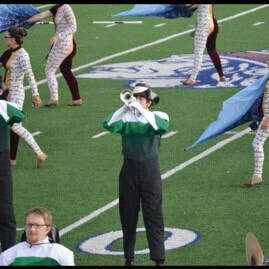 Monrovia Bands will be sending 14 solos and six ensembles to State Finals on February 24th at North Central High School. Group I soloists headed to State Finals on February 24th are Ethan Barber, Taylor Bowling, Jordan Clark, Sam Cox, Lilli Jeffries, Savannah Lanham, Ashley Parker, Jared Poston, Jason Scaife, Justin Scaife, Taylor Stierwalt, Dominic Vogel, Andrew Willett, and Gavin Wise. The trio of Alex Willett, Andrew Willett, Whitney Willett; trio of Ethan Barber, Nathan Peters, Jared Poston; trio of Ashley Parker, Ashley Trudeau, Morgan Walts; quartet of Sam Cox, Jason Scaife, Justin Scaife, Gavin Wise; quartet of Wade Adair, Craig Smith, Alex Willett, Derrick Willsey; quintet of Wade Adair, TJ Clark, Brock Johnson, Alex Willett and Andrew Willett, comprise the six ensembles headed to State Finals. Non-Group I Gold ratings were earned by soloists Ross Beard, Tyler Corona, Isabella Davis, Sadie Duke, Alaina Fluhr, Matthew Gillie, Maxwell Gillie, Alex Hepworth, Alexa Huffman, Emily Huffman, Madison Huffman, Parker Lee, Mia McCracken, Heather Parker, Dawson Peters, Kaylynn Reeves, Ian Ritter, Heather Taylor, Allissa Terrell, Cooper Trigg, Corey Trudeau (on mallet and snare), Whitney Willett, Collin Wise and the ensemble of Heather Parker, Dawson Peters, and Corey Trudeau. Silver ratings were earned by soloists Wade Adair, Sam Allen, TJ Clark, Riley Corona, Olivia Collins, Taylor Fox, Luci Jeffries, Brock Johnson, Meghan Johnson, Michael Ray, Craig Smith, Veronica Torres, Ashley Trudeau, Timothy Voi, Andrew Willett, Monica Williamson, Gavin Wise, Dylan Woodard, and the ensemble of Lilli Jeffries, Meghan Johnson, and Monica Williamson. 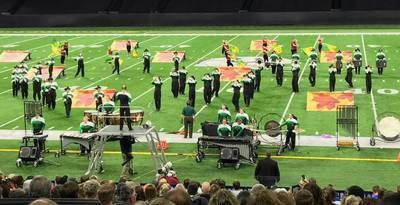 Monrovia was well represented again in the 2017 ISSMA Marching Band Open Class D State Finals as they finished eighth in a great morning for marching bands. The Brigade will finish their season this weekend in the Bands of America Grand Nationals at Lucas Oil Stadium. Their preliminary performance is scheduled for 8:30 pm. on Friday night. 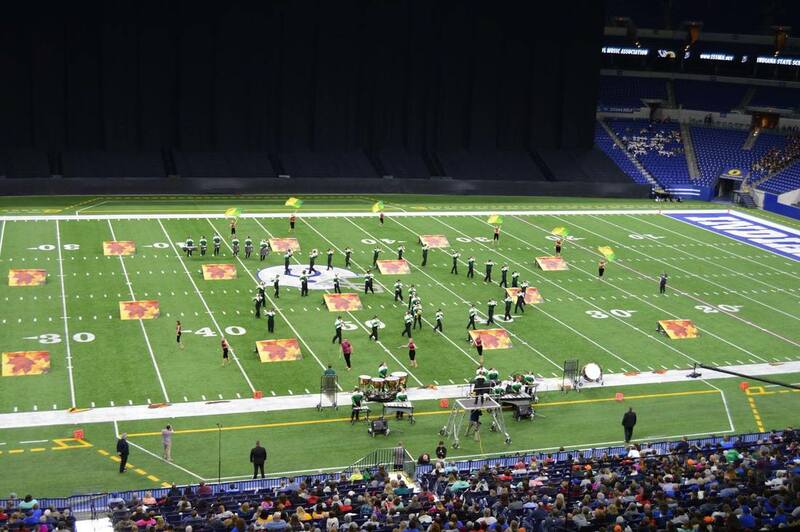 Monrovia will perform on Saturday, November 11, at Lucas Oil Stadium (time TBA). Open Class D will begin at 11:00 am. 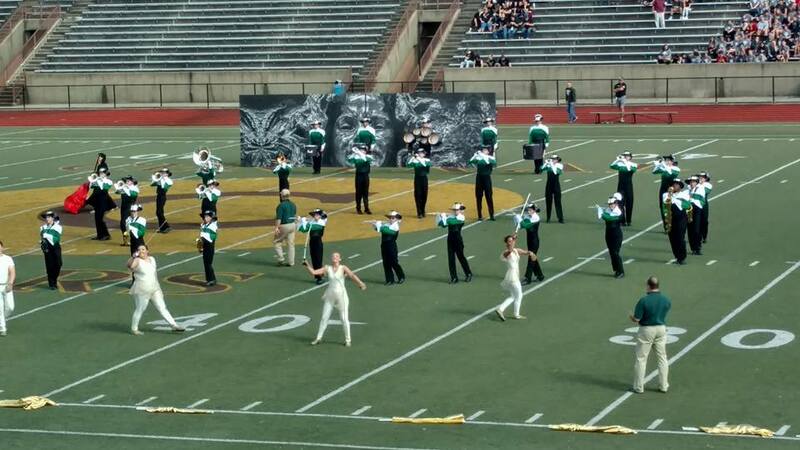 This marks the 14th appearance by Monrovia High School in the ISSMA Marching Band State Finals. 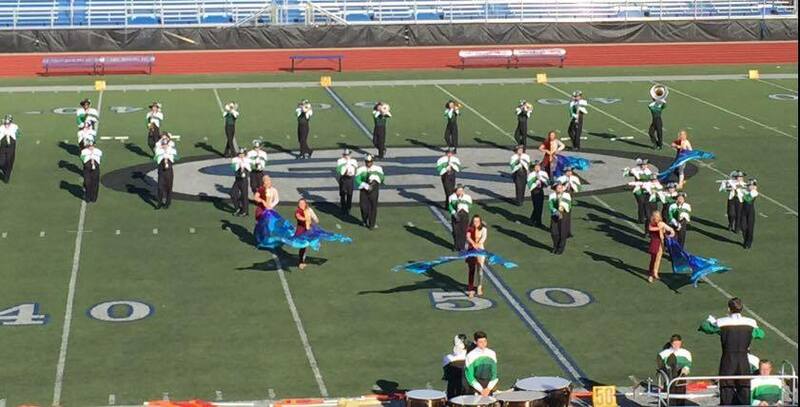 Monrovia began preparations for the ISSMA Semi-State contest (Franklin Community High School, 2:18 pm., Saturday, October 28) with a performance at the Whiteland Invitational. The Bulldog Brigade earned first place in Class D with Best Music, Best Visual, Best Effect, and a People's Choice Award. The Bulldog Brigade will advance to the ISSMA Open Class D Semi-State competition at Franklin Community High School on October 28, 2017. They will perform at 2:18 pm. As a warm-up to Semi-State competition, the band will perform at 5:52 pm. this Saturday at the Whiteland Invitational. 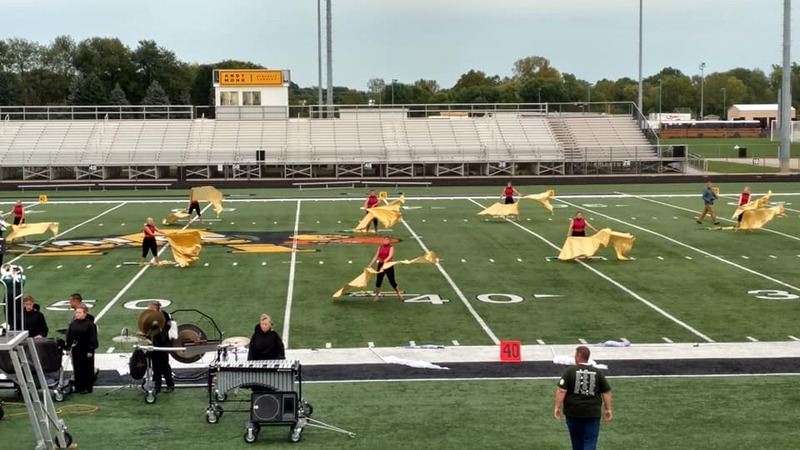 A rain-soaked Saturday set the scene for the Bulldog Brigade as they competed in the ISSMA Open Class D Invitational at Whiteland. It did not slow down the Brigade as they earned a Gold rating and With Distinction honors in Visual and Effect. They will attend the Open Class D North Regional next weekend at 2:15 pm. at Lafayette Jefferson High School. The Bulldog Brigade finished third at the Springs Valley Invitational on Saturday, behind Forest Park and Paoli. 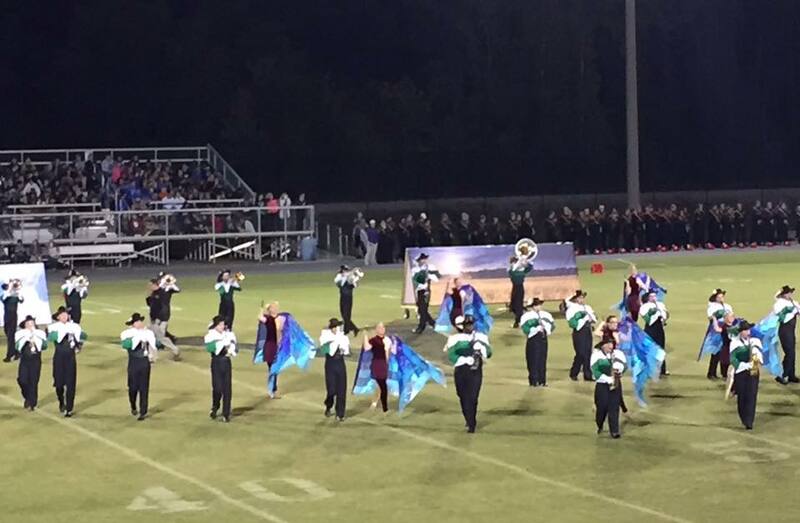 In the process, Monrovia posted their highest score of the season with a 63.70. Next week, they will perform at 5:30 pm. at Whiteland High School in the ISSMA Open Class Invitational. The Bulldog Brigade finished second at the Avon Invitational with a season-high score of 55.95. Despite heat in the mid-90's, Monrovia provided a solid performance. They will perform next week at Springs Valley at 8:31 pm. 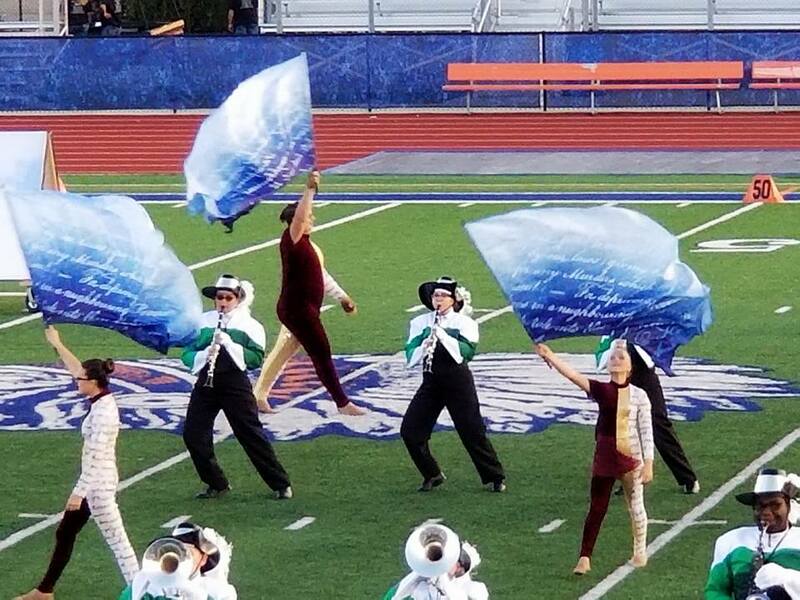 The Brigade traveled to the Sound of Brownsburg Marching Invitational on Saturday and brought home the Best General Effect caption with their second place finish. They were edged in a very close contest by .08. They will be performing on Saturday, September 23, at 4:54 pm. at the Avon Invitational. The bands will be selling cheesecakes now through October 13. Columbus North was the opening site for the 2017 Bulldog Brigade season and the results of the weekend were outstanding for the Bulldogs. Monrovia finish first in their class for the eighth opening weekend in a row. Additionally, they earned Best Music, Best Visual, Best General Effect, and Best Auxiliary caption awards. It was one of the best opening weekends ever for Monrovia. They will be at Brownsburg High School on Saturday, September 16, at 6:30 pm. The Monrovia High School Band competed tonight at the ISSMA Organizational Contest and received a Gold rating on their three prepared pieces. They also received a Gold rating with distinction on their sight-reading. 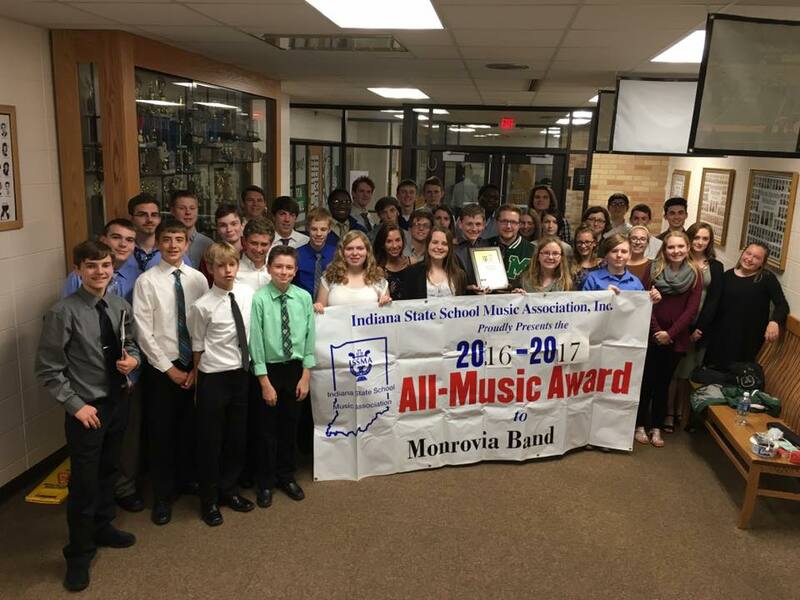 By earning a Gold at the ISSMA Organizational Contest, Monrovia earned an 11th Indiana State School Music Association All-Music Award. The award is given to groups that earn Gold ratings in marching band, concert band, and jazz contests while also sending at least one soloist and one ensemble to Solo and Ensemble State Finals. 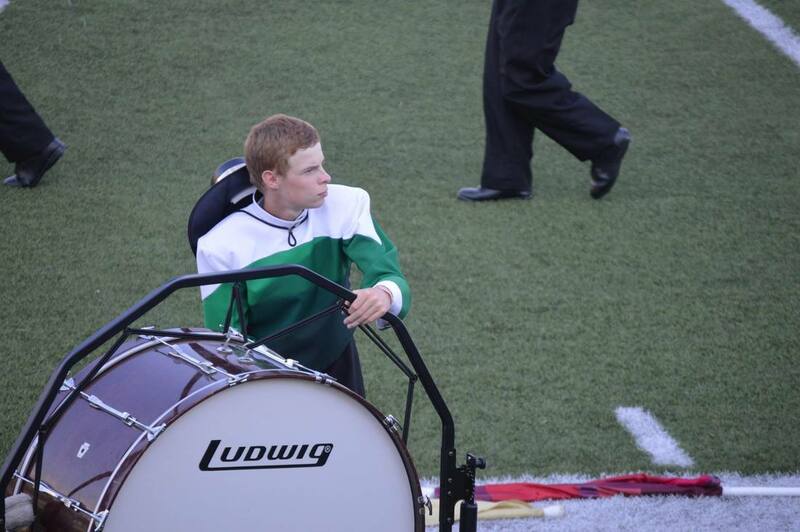 This is the eighth straight All-Music Award for Monrovia Bands. 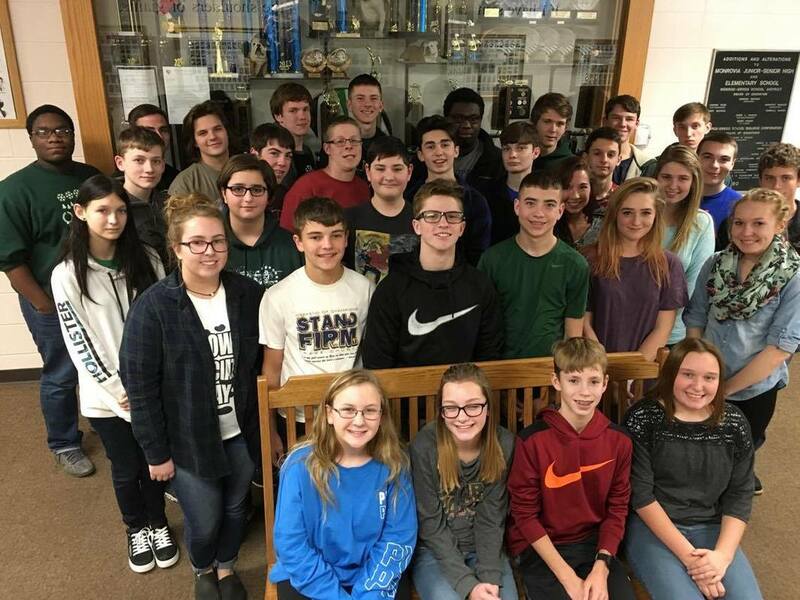 The Monrovia Jazz Band performed in the ISSMA Jazz Festival at Brownsburg East Middle School and came away with a Gold rating for their performance. The Jazz Band will be performing this Wednesday at the annual Shamrock Game, a fund raiser for the high school yearbook where our seniors play alumni in basketball game. They will also have three remaining performances on the school year. On Saturday, March 18, the Jazz Band will perform at the Plainfield Barnes & Noble at our annual Book Fair. The band will perform at 1:00, 3:30, and 6:00 pm. We benefit when people tell their cashier at check-out they are supporting Monrovia. The Swing Into Spring will take place on May 12 and May 13. This annual dinner/dance will feature great music from the 1920's to 2017 provided by the Monrovia Jazz Band. Seating is reserved and tickets go on sale April 3 for $20/seat, $5 for age 6 and under. The dinner will consist of baked ziti, vegetables, breadsticks, and a cheesecake desert donated by Gourmet's Delight. There will also be a silent auction both nights with some incredible items available for bidding. All in all this is an incredible weekend that is the culmination of great work by our Jazz Band members and Booster organization. We hope you will consider joining the fun! Monrovia Bands were well represented this past Saturday at the ISSMA Solo & Ensemble contest. All solos and ensembles registered in Group I that received a Gold rating will advance to ISSMA Solo & Ensemble State Finals on February 25. State Finalist soloists are Nolan Abell, Jack Atwell, Wade Adair, Ethan Barber, Taylor Bowling, Bryton Brown, Jacob Bryson, Jordan Clark, Savannah Lanham, Ashley Parker, Jared Poston, Jason Scaife, Justin Scaife, Taylor Stierwalt, Ashley Trudeau, Michaela Tucker, Dominic Vogel, Austin Walts, Alex Willett, Andrew Willett, and Gavin Wise. Ensemble members who are advancing to State Finals are Jack Atwell, Ethan Barber, Taylor Bowling, Bryton Brown, Jacob Bryson, Jordan Clark, TJ Clark, Madison Collings, Tyler Corona, Sam Cox, Liz Koons, Jared Poston, Craig Smith, Michaela Tucker, and Derrick Willsey. Advancing to State in two ensembles are Wade Adair, Brock Johnson, Alex Willett, and Andrew Willett. Other soloists receiving Gold ratings were: Sam Allen, Emma Belcher, Riley Corona, Matthew Gillie, Max Gillie, Evelina Harwell, Alexa Huffman, Emily Huffman, Madison Huffman, Luci Jeffries, Lilli Jeffries, Parker Lee, Heather Parker, Dawson Peters, Craig Smith, Cooper Trigg, Corey Trudeau, Brennon Williams, Whitney Willett, Collin Wise, and Gavin Wise. Group I Silver ratings were earned by soloists TJ Clark, Madison Collings, Taylor Fox, Brock Johnson, Meghan Johnson, Savannah Lanham, Mia McCracken, Patrick Skillern, Conner Walts, and Morgan Walts. Madison Collings, Karissa Hull, Meghan Johnson, Savannah Lanham, Ashley Parker, Jason Scaife, Justin Scaife, Taylor Stierwalt, Ashley Trudeau, and Morgan Walts were also in Group I ensembles receiving Silver ratings. 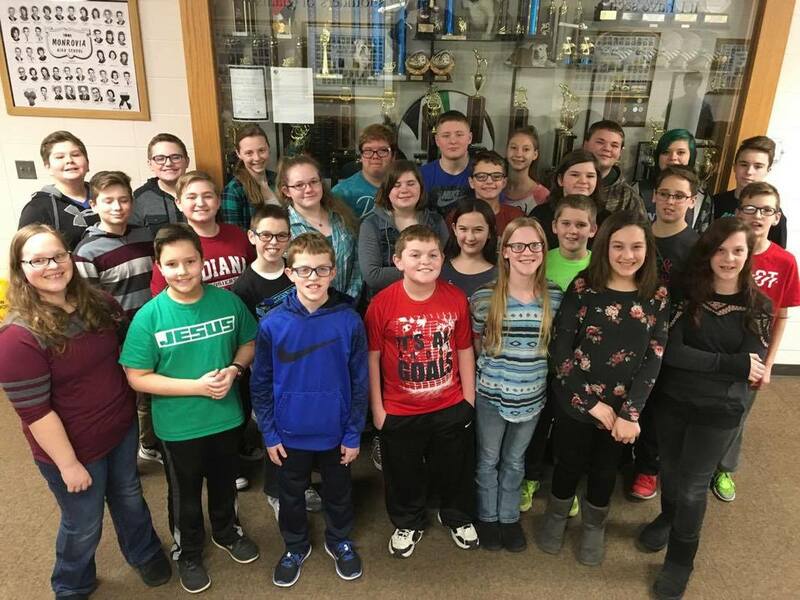 Soloists earning silver ratings were Olivia Collins, Tyler Corona, Taylor Fox, Tyler Hall, Alex Hepworth, Karissa Hull, Brayden Millick, Nathan Peters, Ian Ritter, Veronica Torres, Monica Williamson, and Derrick Willsey. The ensemble of Taylor Fox, Michaela Tucker and Taylor Bowling also received a Silver rating. 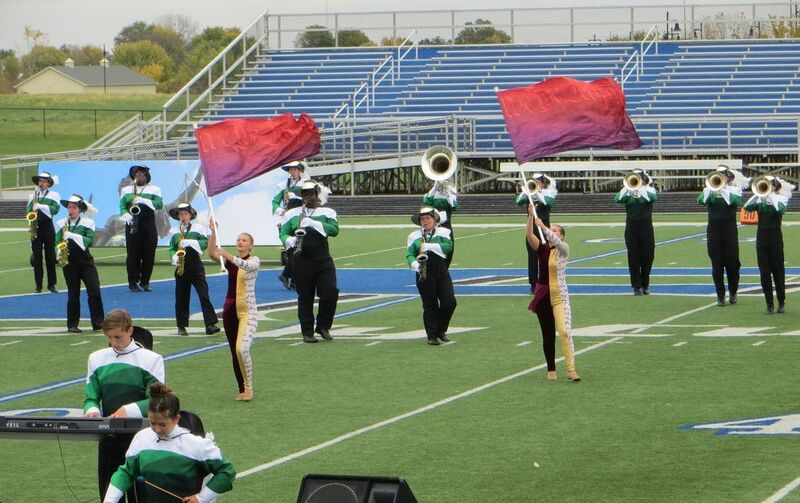 In total, we will be sending 21 solos and five ensembles from Monrovia to State Finals. 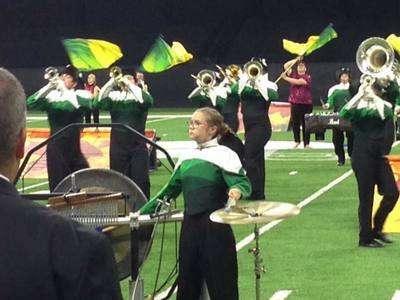 On the grandest stage for Indiana bands, Monrovia finished in seventh place at the 2016 ISSMA Marching Band State Finals. Another class of graduating seniors move through the program never knowing anything but State Finals appearances. The Bulldog Brigade completed a fantastic run to earn their placing at Finals. 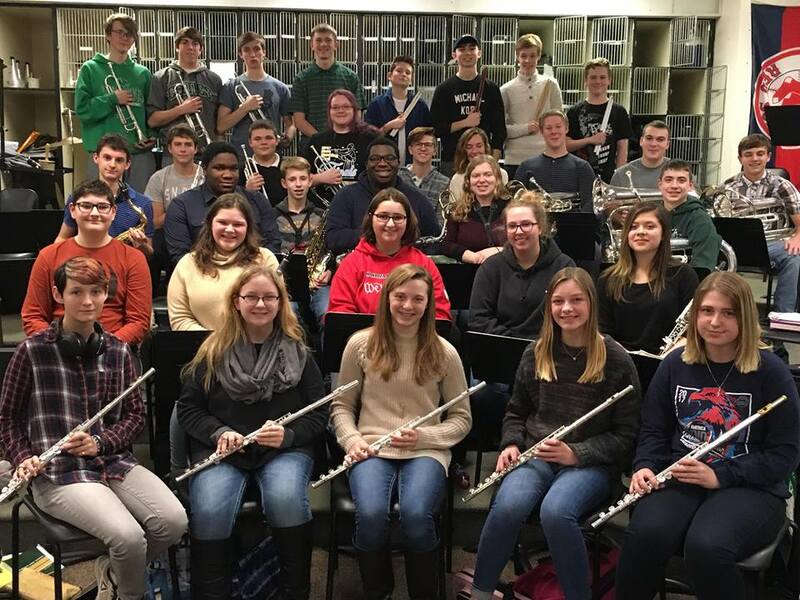 They will now turn their attention to the Mid-States Band Association Class AA Championships coming on November 5, at Miamisburg High School in Ohio. The Brigade will have their pre-lims performance at 1:30 pm. Monrovia High School will be making the 13th appearance in school history in the Indiana State School Music Association Marching Band State Finals on October 29, at Lucas Oil Stadium. The Bulldogs will perform at 6:01 pm., eighth in Class D competition on the evening. Advance tickets will be on sale beginning Monday, October 24, through Thursday, October 27 at Monrovia High School. Adults are $20 per ticket. Students and pre-schoolers are $18 per ticket. Children under age 2, carried in arms and not occupying a seat are free admission. After October 27, tickets will need to be purchased at the Lucas Oil Stadium ticket office. This marks the sixth appearance in a row at State Finals and seventh appearance in the past eight years. 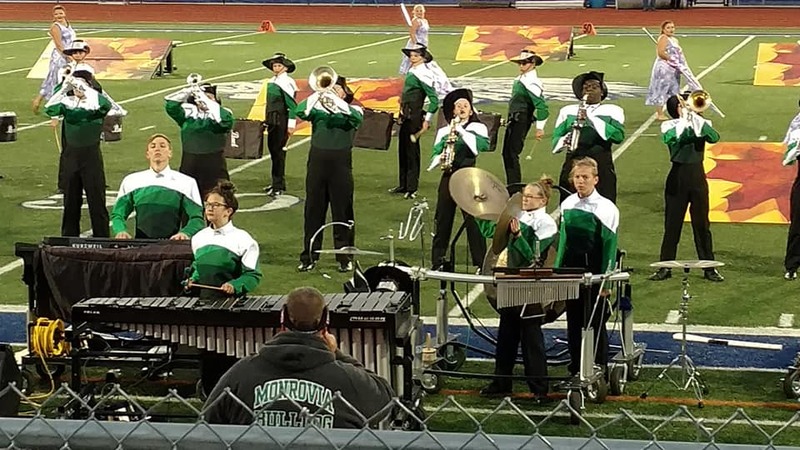 The Monrovia Bulldog Brigade will be on of the 20 representatives of Class D at the ISSMA Semi-State Marching Band contest at Franklin Community High School on Saturday, October 22. 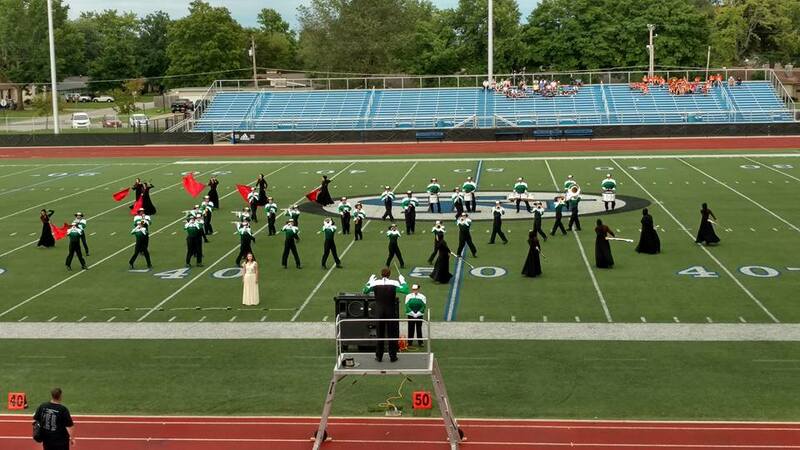 Monrovia earned that honor following a Gold rated performance at the Evansville Regional last Saturday that also netted a With Distinction Award in Music. In the upcoming Semi-State competition, the Bulldogs will kick off the entire contest in the first time slot at 1:00 pm. The top 10 bands in this round earn the right to represent their schools at the ISSMA State Finals at Lucas Oil Stadium on October 29. 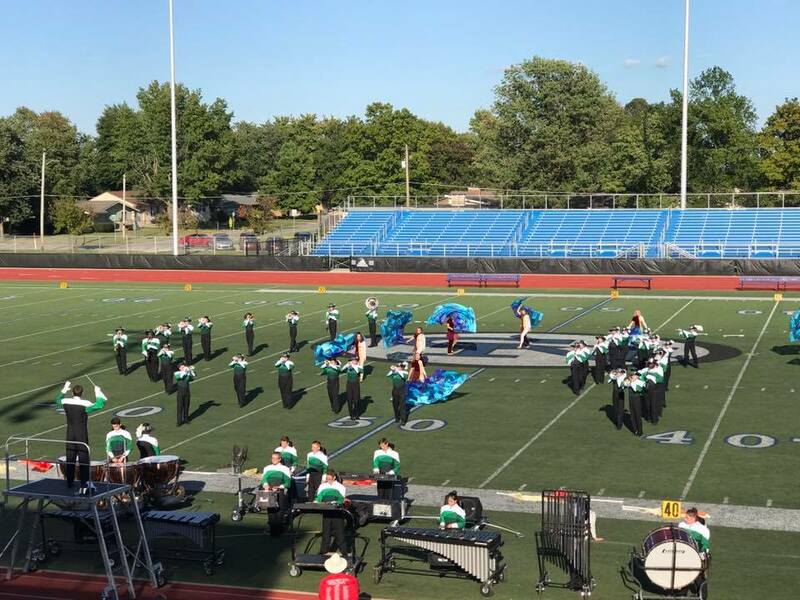 The Monrovia Bulldog Brigade will be advancing to the ISSMA Regional contest at Evansville Central on Saturday with hopes on earning a trip to the ISSMA Semi-State contest on October 22. The Bulldogs brought home a Gold rating this weekend from the ISSMA Invitational. They will perform at 2:02 pm. (Evansville time). The Bulldog Brigade opened October at Decatur Central's Contest of Champions with another first place finish and a sweep of the three captions; Best Music, Best Visual, and Best General Effect. The Bulldogs travel to the ISSMA Invitational at Whiteland High School on Saturday, October 8, and will perform at 5:43 pm. The Bulldog Brigade powered through the hottest day of the competitive season with a third place finish and Fan's Choice Award at the Avon Invitational. Following a brisk drive around Indianapolis, they closed the evening with a first place finish on a score of 59.4 at the Hamilton Southeastern Royal Invitational. The Bulldogs also brought home Best Music, Best Visual, Best General Effect, Best Percussion and Best Auxiliary from the night show. They will perform at Decatur Central this Saturday at 6:52 pm. LET THE 2016 SEASON BEGIN! The Brownsburg Invitational was the premier of our props for the 2016 season. They looked incredible on the field! Many thanks to all the hands that prepared them the past two weeks. We are hoping to utilize them a little more in the coming weekend with a performance that Saturday at Avon High School (4:31 pm. start) and Hamilton Southeastern High School (8:30 pm. start). We will be performing our entire show at both of those shows for the first time this season. Looking forward to seeing you there!